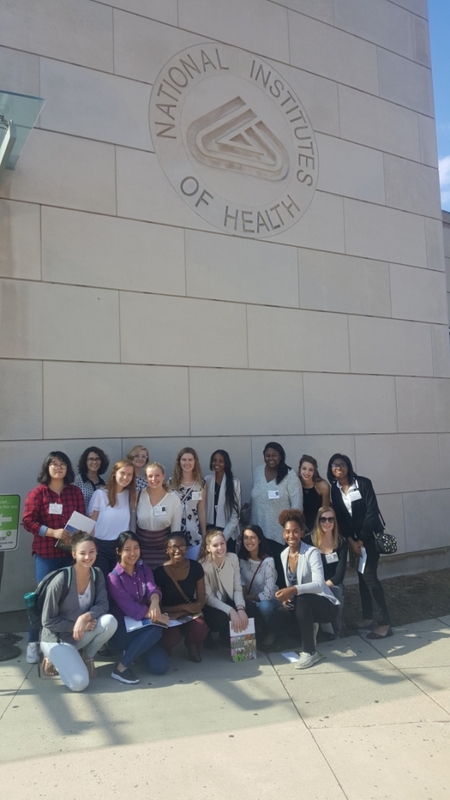 The Science, Health & Medicine (SHM) cohort of the Women’s Leadership Program is designed for first-year women who are interested in medicine, public health, engineering, and/or any of the natural sciences. The SHM cohort combines an in-depth study of scientific applications, the humanities, and leadership. The courses satisfy the requirements for majors in the Columbian College of Arts and Science, pre-medical requirements, and general curriculum requirements for other students. 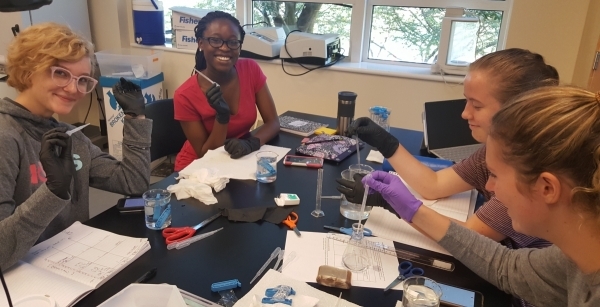 Successful students will graduate from the program to join the ranks of other women in science who have made significant contributions in the field. 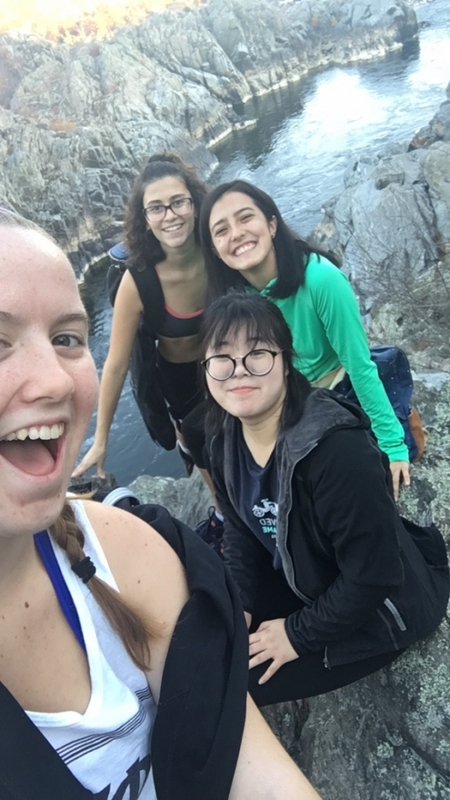 The program combines challenging academics with a residential structure that encourages students to work together to achieve their learning goals. Students live together in Somers Hall on the Mount Vernon Campus, along with a graduate teaching assistant who serves as a role model, mentor, and a link between the academic and residential components of the program. In the SHM biology class, students investigate biological principles using active learning strategies. The focus is on understanding the underlying concepts along with critical thinking and problem solving. In the fall (BISC 1115, lecture & BISC 1125, lab), the focus is on biochemistry and cellular biology. This course fulfills one literacy requirement. The University Writing Program provides comprehensive writing and research instruction and is required for all undergraduate students. The WLP offers a choice of topics taught by the program’s University Writing faculty. This course is not cohort-specific and students may select any of the courses offered. This course does not fulfill an academic requirement, but counts towards the students’ overall earned credit hours. 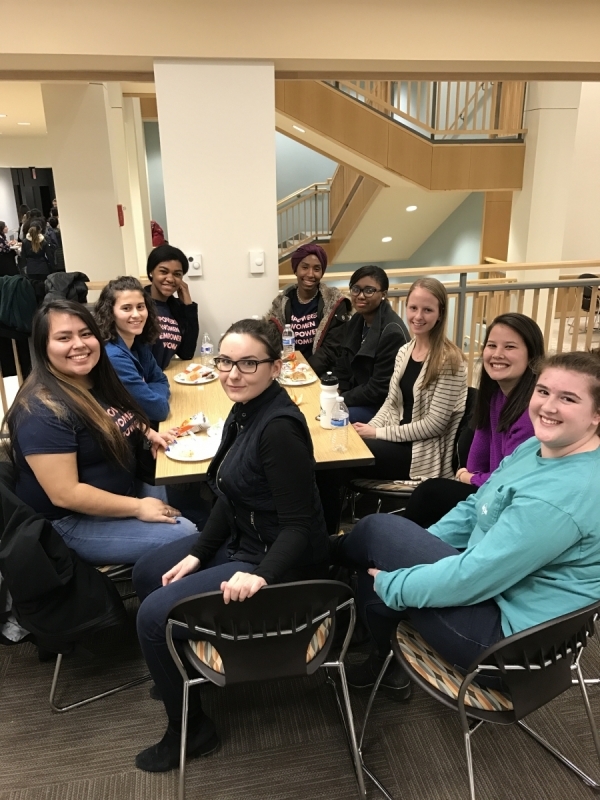 The weekly symposia are designed to supplement the academic component of the program with a wide variety of extra-curricular opportunities, many of which are exclusive to members of WLP. The symposia fall into two main categories: women’s leadership and discipline-specific exploration. The discipline-specific events are geared towards the specific interests of students in the SHM program. 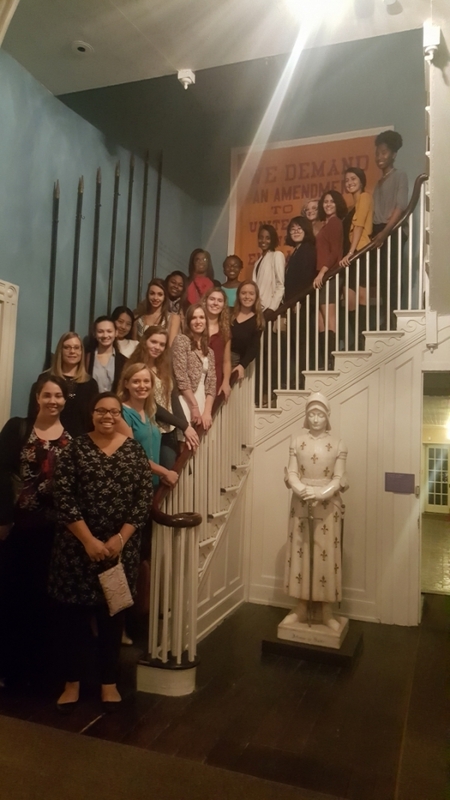 The symposia include visits by women who work in different areas of science and medicine, as well as frequent opportunities to explore the resources of the Washington, DC metro area. In the SHM biology classes, students investigate biological principles using active learning strategies. The goal for both courses is to introduce fundamental scientific concepts while building critical thinking, problem solving, and communication skills. In the spring (BISC 1116, lecture & BISC 1126, lab), the content shifts to evolution and animal biology. Founders Day 2017 - SHM seniors and freshmen. 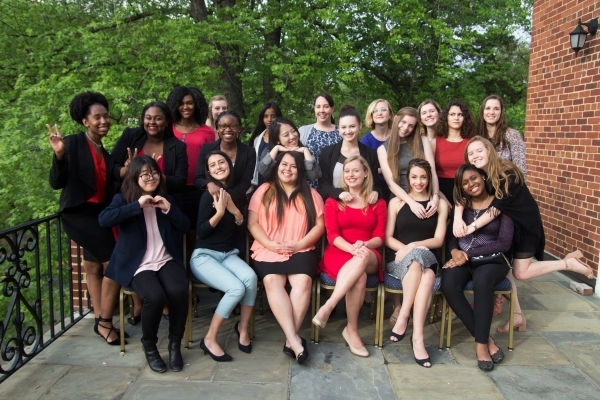 Every Spring WLP hosts Founders Day where WLP Alum come and speak to the students. 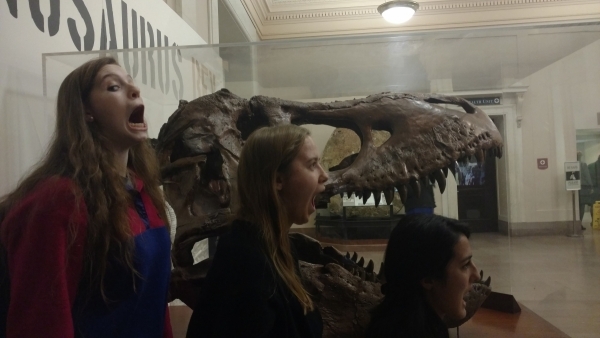 SHM has some fun at the Natural History Museum. 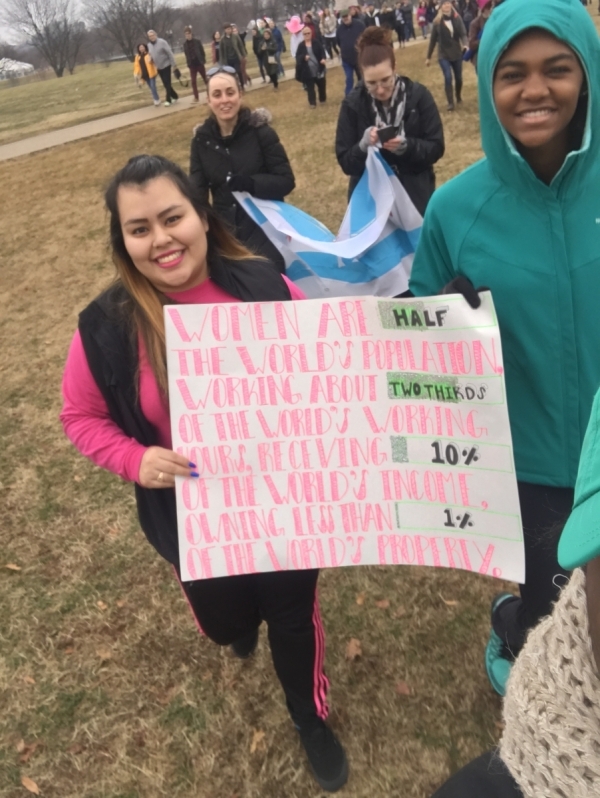 SHM students participating in the Women's March 2017.